Hacker with name "Black Jester" hack another subdomain ( http://airtrafficconflictresolutions.arc.nasa.gov) of NASA. Hacker compromise the database of site and leak password hashes of Users and Database Info also. The leaked info posed on Pastebin Note. 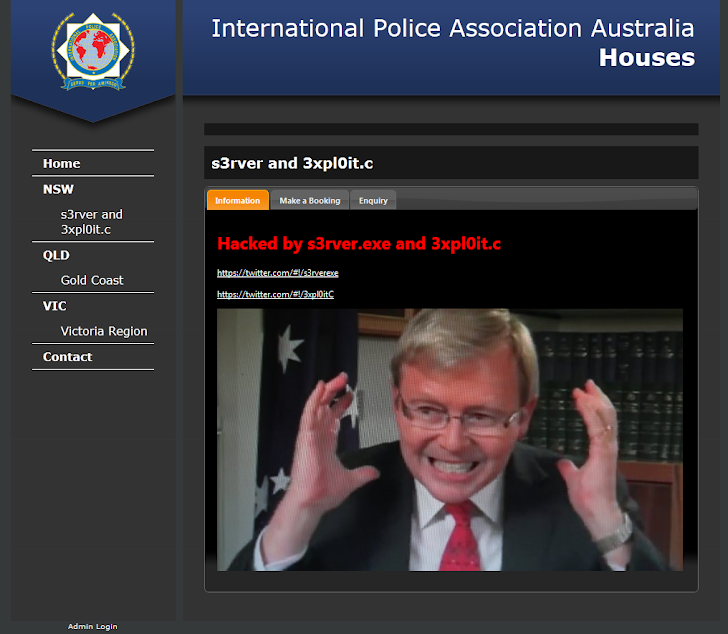 In Another Attack, Hacker - S3rver.exe managed to breach the official website of the International Police Association of Australia (ipa-australiapolice.com.au). A Pastebin paste made by the hackers contains the site’s database structure along with names, usernames, email addresses and password hashes, Softpedia Reported. The hackers claim that they have warned International Police Association representatives that the site contains some serious vulnerabilities, but apparently they did nothing to secure it. The hackers also tried to root the servers, but apparently it can’t be rooted.